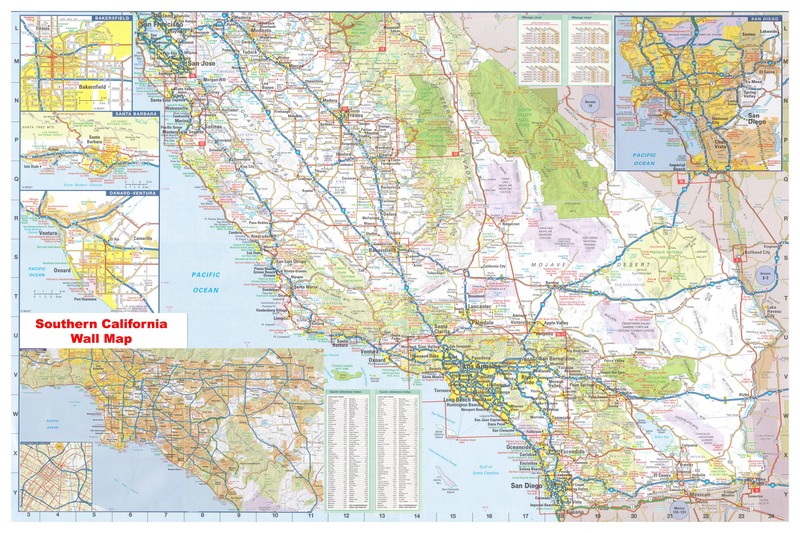 The California Southern Wall Map Executive Commercial Edition fit your business or home needs for a large wall hanging map reference for Southern California. Available in multiple sizes in paper, laminated or framed. 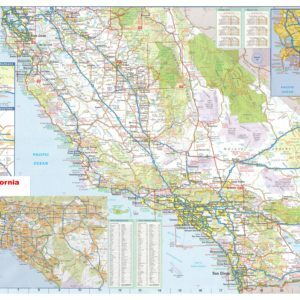 The California Southern Wall Map Executive Executive Commercial Edition is a very popular City/County Wall Map for Southern California and is leading detailed regional map in print today! 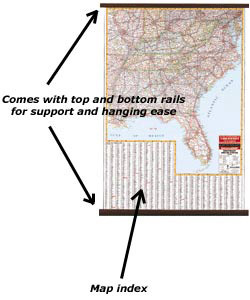 The wall map is printed in full 8 color lithograph and indexed on the face of the map. Coverage includes Kern, Los Angeles, Orange, Riverside, San Bernardino, San Diego, San Luis Obispo, Santa Barbara, and Ventura + more. Details all streets/highways, mileage circles, shopping centers, water features, recreational parks, government buildings, fire/police stations, educational facilities, golf courses/country clubs, airports, post offices, hospitals, railroads, cemeteries, and latitude/longitude lines.